The drama of the ice rink lived through music on Skating for Gold. 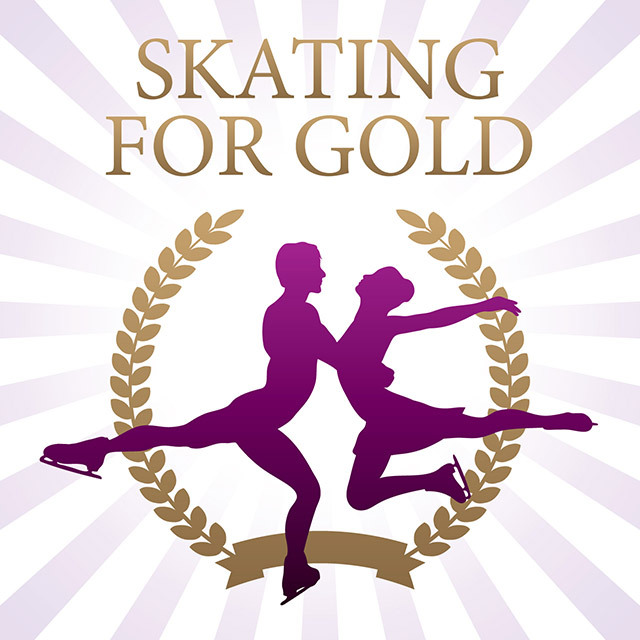 Music has always been an integral part of the sport and Ice Skating Gold presents a selection of music pieces from winning programmes from such ice skating legends as Elvis Stojko, Alexei Yagudin, Tara Lipinski, Torvill and Dean. Bringing classical and film music pieces to the mix, the album covers a wide selection of different moods, from Ravel’s stringent Bolero and Satie’s other worldly Gymnopedie No.1 to modern film scores such as Thomas Newman’s Little Women and classic sweeping film tunes such as Maurice Jarre’s Lawrence of Arabia and Nino Rota’s Romeo and Juliet. Who can forget Torvill and Dean’s performance to Ravel’s Bolero at the 1984 Winter Olympics at which they became the highest scoring figure skaters of all time (for a single programme) receiving 12 perfect 6.0s, including artistic impression scores of 6.0 from every judge. Other winning pairs whose programme is included on this album are Evgeny Platov and Pasha Grishuk, the only Ice Dance Champions who won Olympic Gold twice, Oksana Kazakova and Artur Dmitriev the 1998 Olympic Gold medal winners, Kovarikova and Novotny the first Czech pair to win a World Championship in 1995. Women skaters whose music from winning programmes is featured here include the legendary Tara Lipinski, who to this day remains the youngest individual gold medalist in the history of the Olympic Winter Games. At the tender age of 15 Tara won gold at the 1998 Winter Olympics in Nagano, Japan. Also included are programmes by the 5-time World Champion and rising star Michelle Kwan and Shizuka Arakawa, gold medallist at the 2006 Winter Olympics. Men represented here are the 3 legends Todd James Eldredge, the 1996 World Champion and a six-time national champion, the 2002 Olympic champion and a four-time World Champion, Alexei Jagudin, Canadian World Champion Elvis Stojko who became the first person to land a quadruple-double jump combination and Evgeni Plushenko, the 2003 World Champion and 2006 Olympic Champion. Most recently, Evgeni performed on the 2008 Eurovision Song Contest an ice skating routine on stage as part of the winning Russian team’s choreography to the winning Dima Bilan song “Believe”.